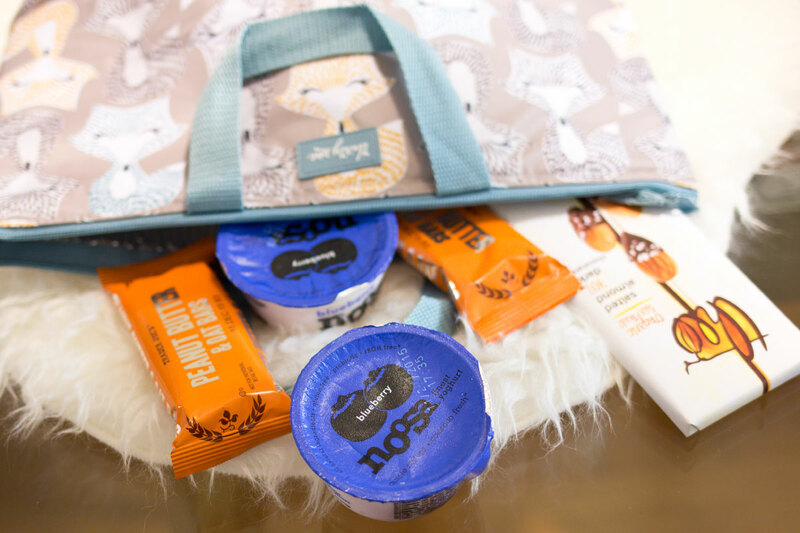 Sponsored Post: Thanks so much to noosa yoghurt for sponsoring this post. Ah yes, the holiday season. My favorite time of year, but also the time where I feel like I’m losing my mind. Between work, personal commitments, holiday shopping, blogging, friends, and family, I often feel like I’m losing my marbles. Holiday festivities require an almost cross-country type of planning that I love to hate. I’m a planner, but I’m also a procrastinator, so when it’s go-time, I’m often scrambling and reciting my lists of what I need to bring. 1. A warm coat or poncho, scarves, and gloves: Sounds a little crazy, but hear me out. A few years ago, my mom and I rode together to my grandma’s house (on the other side of the mountains) and the drive there was great, no problems. We stayed the night and overnight it had snowed hard. By the time we got to the pass, it was still snowing hard, and we saw the fun “chains required” sign. Of course, this meant we had to pull off the road to do so. Let’s just say there was a lot of yelling, frozen fingers, and we were both wet and freezing. So my lesson to you is always pack more than you need if you’re going over the pass or are potentially going to be exposed to inclement weather. You never know when you’ll need to put chains on, get a flat, or have another transportation-related issue. 2. Snacks: Please don’t show up hangry to your friend’s or relatives’ house. That’s just not a fun way to live. For our road trips, I always pack a small cooler bag of snacks if we don’t eat a meal on the way. I always grab noosa yoghurt (in the convenient single serving packs, of course! ), granola bars, and something a little sweet to share. Oh and for any car boredom, you can always play a little game of #noosalibs! They have posted some fun photos to their Instagram and Twitter! Leave them a comment or send them a tweet with your answers! 3. Phone Charger/Portable Battery Pack: Have you noticed that whenever you travel, your phone dies at least 2x faster than normal?! It seriously drives me nuts which is why I try to always remember to charge a portable battery pack and bring a phone charger and wall plug for when we get to our final destination. Holiday online shopping and snapping photos shouldn’t have to fall by the wayside due to a dead phone! 4. Audiobooks: While you probably won’t have to physically pack this (I use the Audible and Overdrive apps), audiobooks can make for a great alternative to music. So long as the driver and passengers can agree on a book, this can make car rides just fly right on by! 5. Tunes: It wouldn’t be a road trip without your favorite jams! 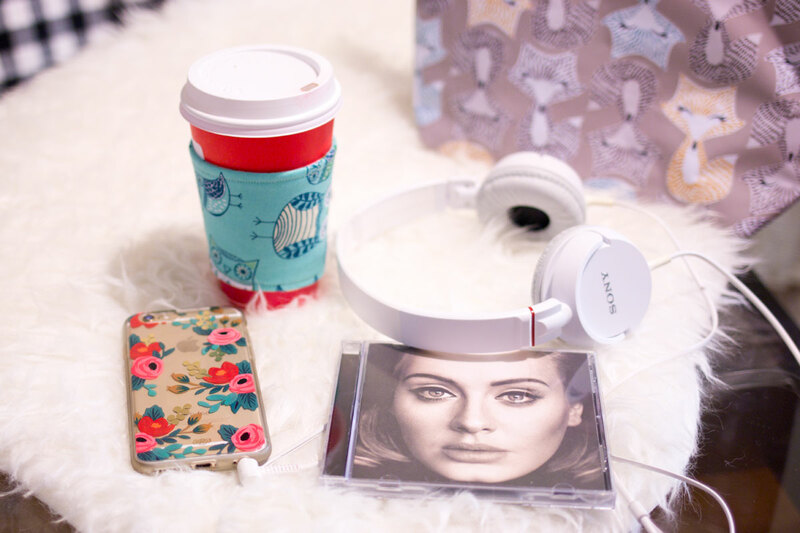 I’m a big fan of songs you can belt out (AKA pretty much anything on Adele’s 25 album), oldies, or throwbacks tunes. If no car dancing happens is it truly a road trip?! 6. Headphones: If you and your driver don’t see eye to eye on music selection, grab a pair of headphones. It’s easy enough to prevent any arguments and be an agreeable passenger. The holidays are stressful enough as they are, amirite? 7. Travel Makeup Bag: While I am all for going au naturel if you opt to wear makeup for your holiday fetes, be sure to pack a small makeup bag for touch ups. My personal #1 must-bring item is whatever lip color I am wearing, as post-feast my lips are usually looking a little crazy. I would recommend going for a long-wearing liquid lipstick for any holiday festivities, but be warned, anything oily or greasy can do a number on even the toughest lipsticks! With the stress and panic that the holidays can bring, I hope this list of must-have items for road trips is helpful. With so many important things to remember (like your cousin’s favorite casserole, your holiday gifts, or even just yourself! ), these are just a few extra reminders to make your travel that much more enjoyable. 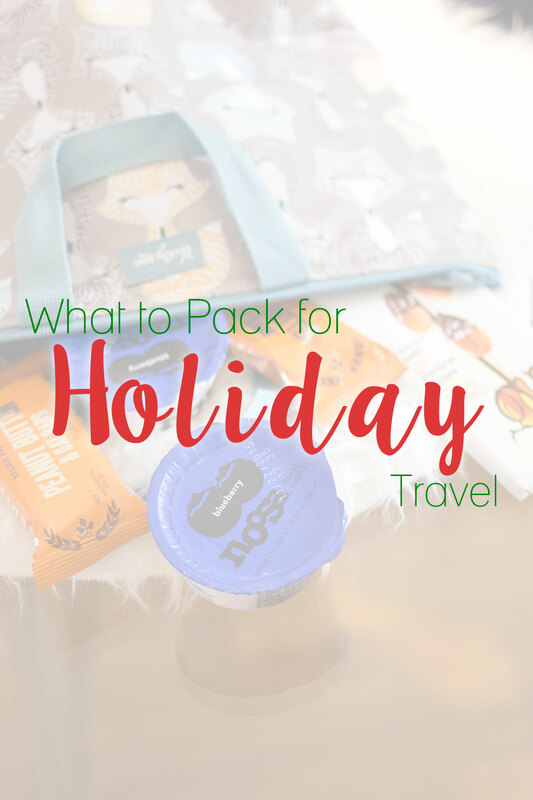 What are your essentials for traveling on the road around the holidays? Anything that makes long road trips more bearable? I’d love to hear about it! All great things and definitely needed! I’m starting to get my packing done for my trip and can’t wait!! Hope you had an amazing trip, Rachel! So true! I definitely don’t always do the best job of planning and wait til the morning of and forget the little things! Great list Jenn, I hope to get that new Adele album soon! Noose yogurt is the bomb..good stuff! Thanks Val, hope you had a chance to listen to Adele’s album. It’s so good! Merry Christmas! Audio books and music are a MUST! I use the overdrive app to access free audio books when we travel; Dustin always groans about listening to books but gets so involved with them by the time we get to our destination! Great suggestions! I always have to have a neck pillow for airplane rides!